In 2008, the Des Moines Register had a sandwich contest to determine Des Moines “Best Deli Sandwich”. We’re proud to the readers of Des Moines Register voted our Dad’s Killer Sandwich as Des Moines “Best Deli Sandwich”! Erin Crawford, Des Moines Register Report, wrote the article “Sandwich Chompers tag Dad’s Killer No. 1” Here’s an excerpt of the article. Dad’s Killer slew them all. Online poll-takers voted B&B Grocery Meat & Deli’s signature sub the best during a week of serious sandwich sampling in The Des Moines Register’s deli sandwich poll. Dad’s Killer, which earned more than 2,700 votes, is a classic American combination of four meats, three cheeses, pickles, lettuce and tomato on a hoagie. 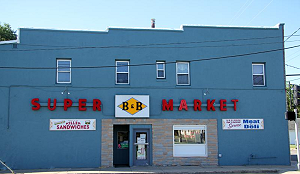 The sandwich originated in 1979 at the Des Moines grocery, 2001 S.E. Sixth St., after customers noticed the store’s owner enjoying sizable sandwiches of fresh deli meats and cheeses behind the counter. 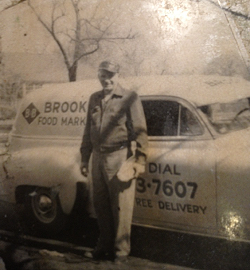 The hungry shoppers wanted sandwiches of their own, so the Brooks family launched a deli counter. John Brooks Jr., whose family owns the store, said Dad’s Killer has made some new fans since the article was printed last week. “We work hard every day and pride ourselves on what we put out and that’s what the votes showed,” he said.